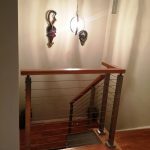 In some instances, customers use unique cable railing post combinations to achieve the desired style in their homes. 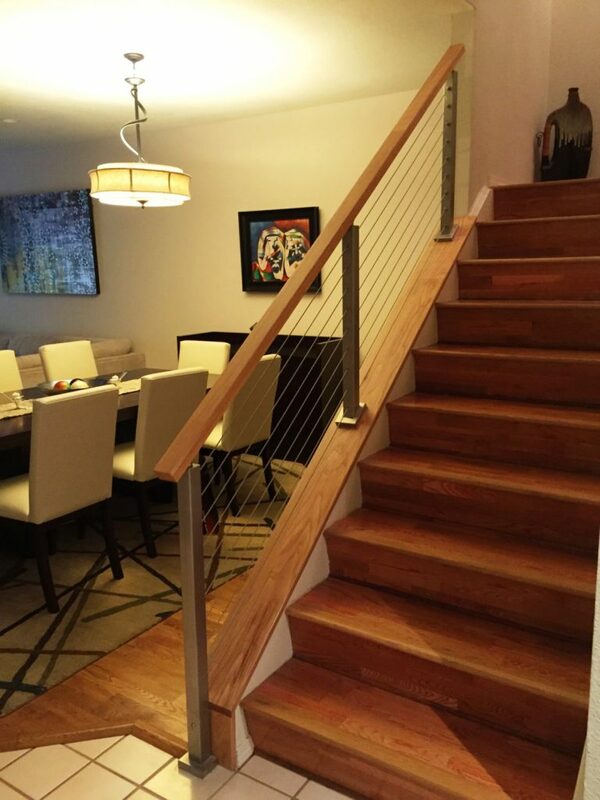 For this project, the customer selected surface mount posts. 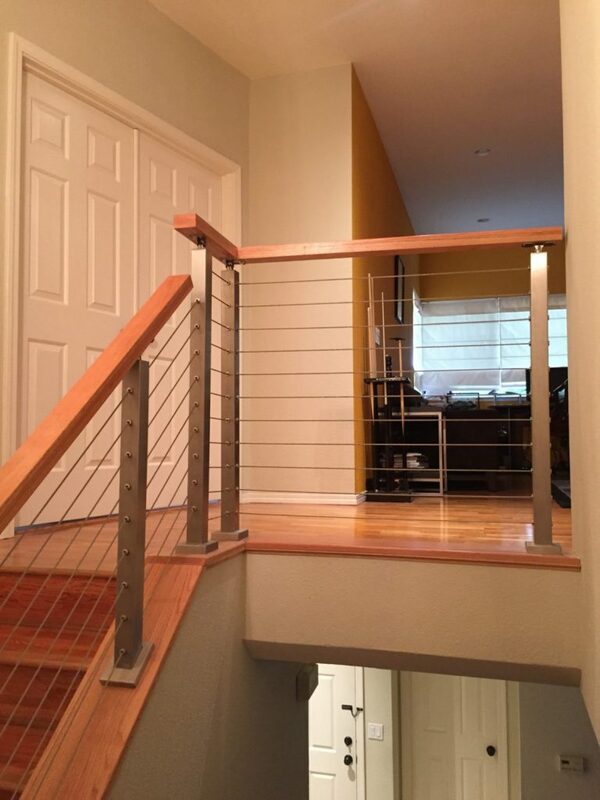 However, because of the presence of knee walls and flat surfaces, the customer used both flat and angle foot posts. 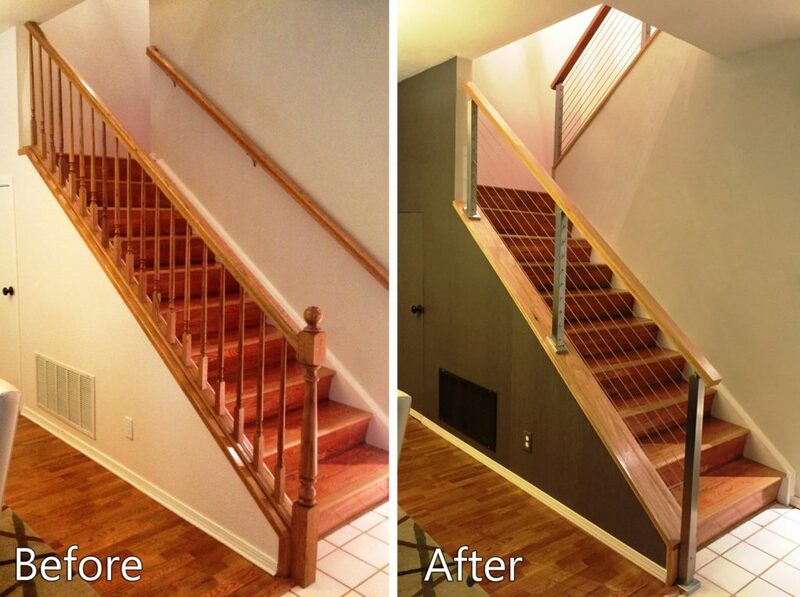 This allowed the customer to have a cable railing system with smooth transitions. 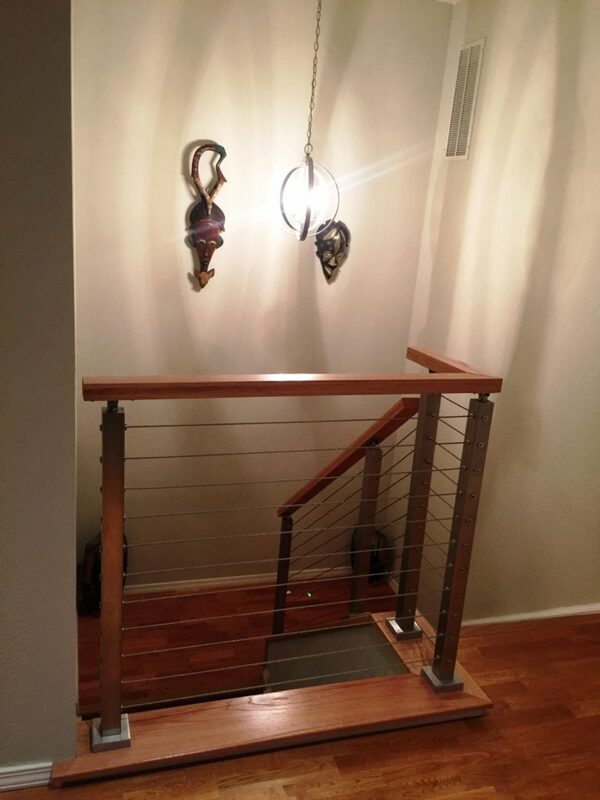 In addition to the combination of angle and flat foot posts, the customer decided to use a post with three smooth sides as the base post at the bottom of the stairs. 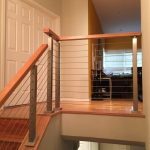 When you have design questions and requests, our friendly, experienced staff is happy to do everything possible to fulfill your needs. 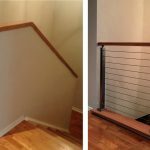 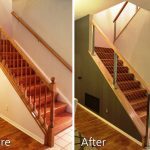 With a few simple photos and measurements, we can begin working to make your design dreams come true.